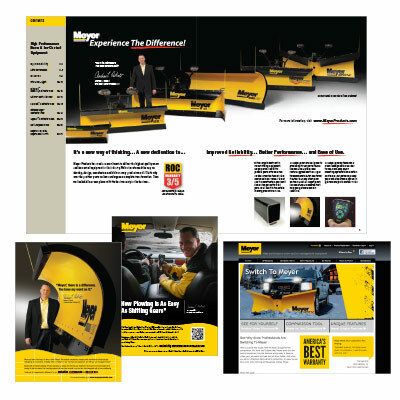 When Meyer Snow Control underwent management and operational changes, their brand identity underwent changes as well. The company lost market share – dropping from first to third in the industry and suffered from a perception that their products lacked quality construction. Meyer relied on Dennison to help turn things around. We organized and conducted focus groups to get at the root of the problem, then developed a successful rebranding campaign to remedy misconceptions about product reliability, performance and ease of use. The campaign included a new slogan, designated the company president as spokesperson on all materials, and a new approach to all literature, advertisements and trade shows. Dennison also developed a micro site designed to compare Meyer snow plows directly against competitors, demonstrating the superiority of Meyer’s features and benefits. The company regained market share within a year and partnered with new distributors who trusted Meyer’s quality.